The construction of the room is extremely important. Make sure that all computers face you. 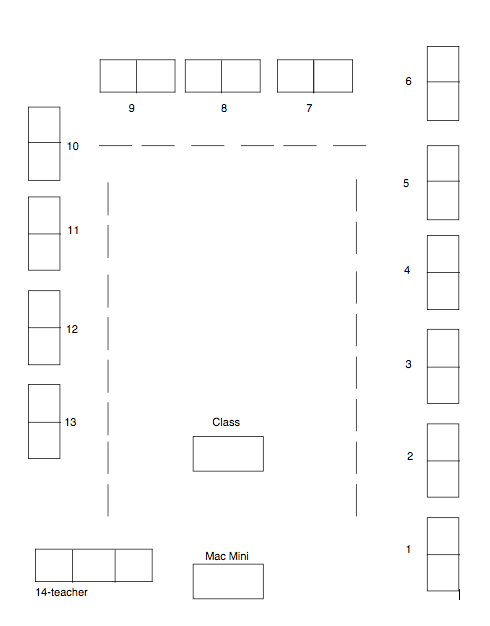 Have two different seating charts, one for the lab and one for classroom singing, presenting, and/or talking. There is a rug in the middle, for student seating as well. The Promethean Board is in the front. Two white boards, one next to the Promethean Board and one between stations 6 and 7, on station 7's wall.